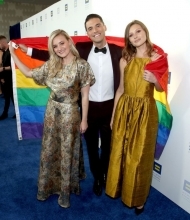 On March, 30th 2019, Aly & AJ Michalka and their good friend Raymond Braun attended the Human Rights Campaign 2019 Los Angeles Dinner at JW Marriott Los Angeles at L.A. LIVE in Los Angeles, California. 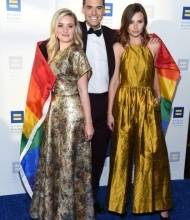 We have added a bunch HQ and LQ photos of the gorgeous Alyson and Amanda from this appearance to the photogallery. In case we find more HQ photos, we will add all of them.